Reinders + Rieder Ltd. is a multi-disciplinary consulting firm providing a wide range of architectural, engineering, and project management services. Established in 1967, Reinders & Rieder Ltd. has provided professional consulting services on over 3,800 projects to both public and private clients throughout North America and abroad. Satisfied repeat clients and referrals provide the significant majority of our work. Our diversity of experience gives us unique insight into innovative projects and effective goal-oriented solutions. Our clients benefit from single-source responsibility and cost-effective consulting. We are a dedicated and passionate team of highly-skilled professionals. We design community buildings and spaces where people pray, stay, earn, and learn. 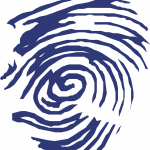 We put form to our clients’ needs and visions, leaving a thumbprint on the world. We are the premier design firm in our chosen markets with global capacities through our empowered people. Quality: Performing to a high standard and creating value for our clients. Trust: Belief that people will demonstrate integrity and follow through. Results: Accomplishment of measurable outcomes that are mutually beneficial. Reputation: Consistently being held in high esteem for dedication and accomplishments. Community: Valuing relationships and shared participation for a common purpose. Glenn provides project consultations for church, school, and multi-residential clients and leads the design teams from concept to reality. He translates the development process through staff involvement and is involved in the functional programming, conceptualization, regulatory approvals, technical construction documentation, and contract administration. 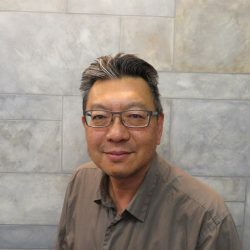 Specializing in building envelope detailing and technical specifications, Glenn’s projects include new buildings on green sites, facility additions on existing sites, and complete adaptive reuse of existing facilities into new development projects. Glenn enjoys traveling, hockey, baseball, golf, and most of all, spending time with his grandkids. Glenn is the President of the non-profit charitable organization, Mission to Haiti Canada, which aspires to create and nurture opportunities for the people of Haiti. Steve takes a hands-on role as the Head of Engineering specializing in all aspects of structural design and project coordination. His background includes a wide range of industrial, commercial, and residential projects. 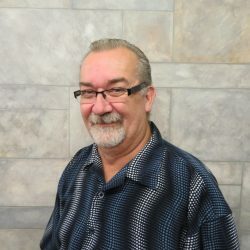 Steve enjoys playing golf, watching hockey, and keeping up with his favourite team, the Toronto Maple Leafs. He also has a love of photography and enjoys taking snapshots of memorable sites on his travels around the world.